This past weekend was a wonderful weekend. Angela mentioned that we had a great Thanksgiving dinner with our friends John and Catherine on Thursday. Friday we had a day of professional development that was quite enjoyable. We began the day with some interesting presentations from teachers who work at the Pudong campus (the other side of the river). I have befriended the music staff already from the Pudong campus as they play in a community jazz band with me. They were also in attendance, so I had the opportunity to talk with them. I attended a great session on the effects of moving to a new country, the depression that can follow a few months abroad, and some good techniques to deal with it. This session was intended to help students, but our friend Catherine (the guidance counselor) also aimed it towards new teachers. I went totally for my own benefit, and it was a nice session. I will add that Angela gave a session on technology that received raving reviews from her lower school faculty. At the end of our day, we had a happy hour on the field of the school. That’s right folks, beers wine and games. It was awesome. Needless to say, the view was stunning. Moganshan looked a good deal friendlier in the light. I woke up fairly early, and joined the choir director, my friend Sean, for breakfast. They had a pretty typical Chinese breakfast consisting of bread and fruit. The front counter also had a fancy coffee maker, so I could order an Americano. I could not order a simple brewed coffee, but I could get a fancy drink. Strange. Once everyone was awake, we decided what adventures we would embark on for the day. 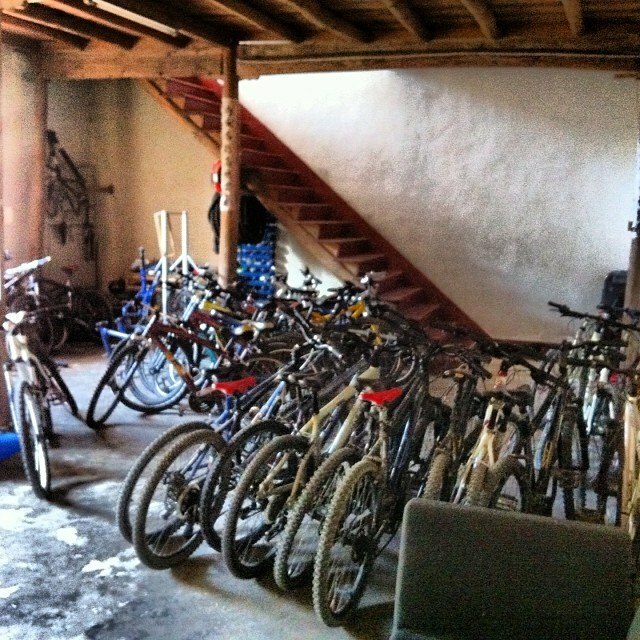 I decided to join my friends John and Catherine as they wanted to rent mountain bikes and explore. The three of us went to check out the selection. We were set up with some decent mountain bikes (sorry-I neglected to take a photo of the actual bike I rode…) and hit the trials. I had forgotten how incredibly hard mountain biking could be, but the views were worth it. 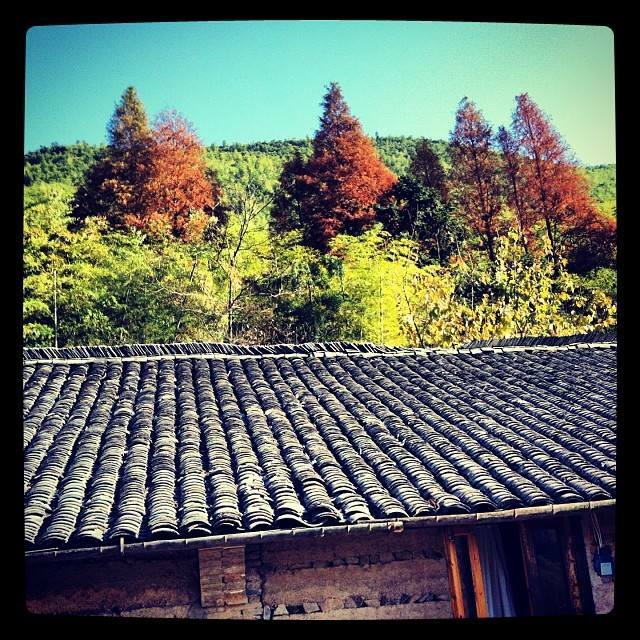 The primary business in Moganshan (besides tourism) seems to be bamboo. 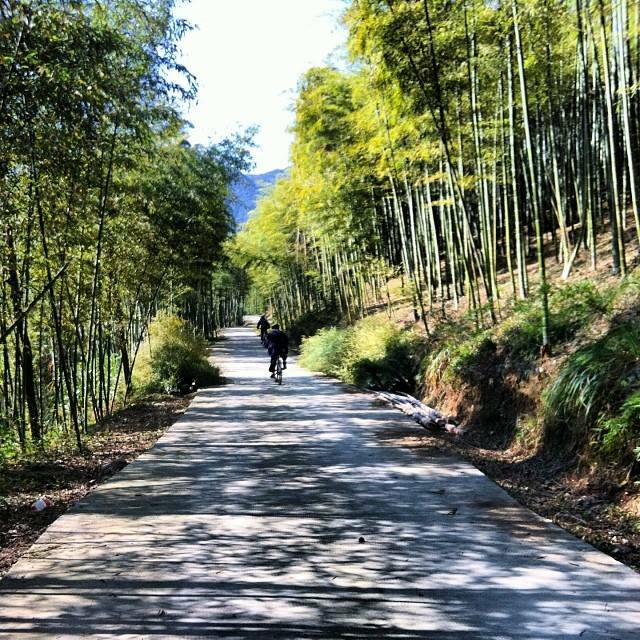 The hills and mountains were covered in dense bamboo woods, and everywhere we walked or biked was through a bamboo forest. 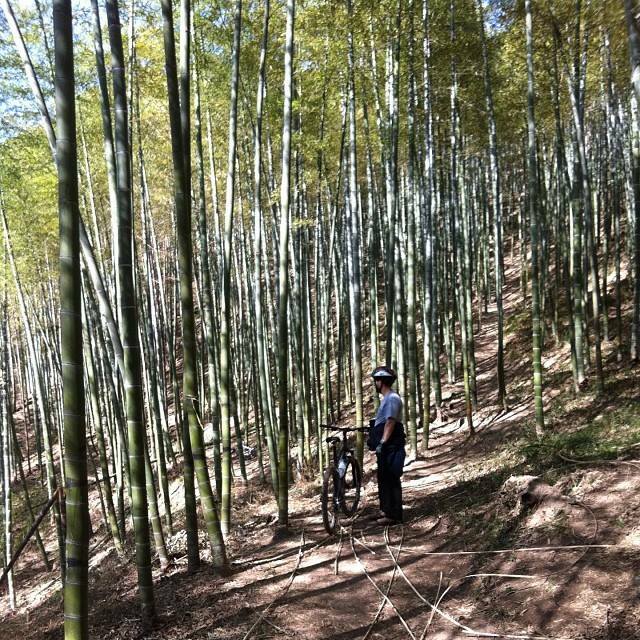 There were also many locals out harvesting the bamboo by hand. 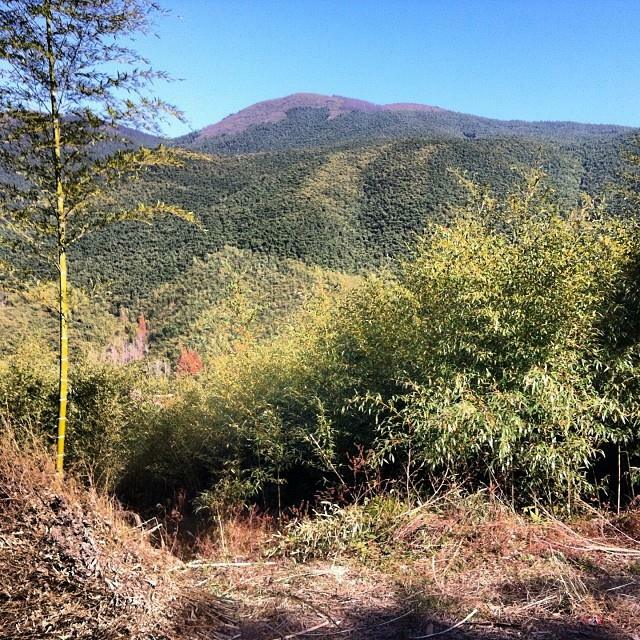 We even had to cut through the woods at one point to avoid a large truck blocking our path, full of bamboo. On Sunday I decided I was going to hike. I joined two friends, Matt and Bell, and we decided to search for a nearby lake that was rumored to exist. We received minimal instructions from one of the hostel workers and a crude map, and set off on our way. 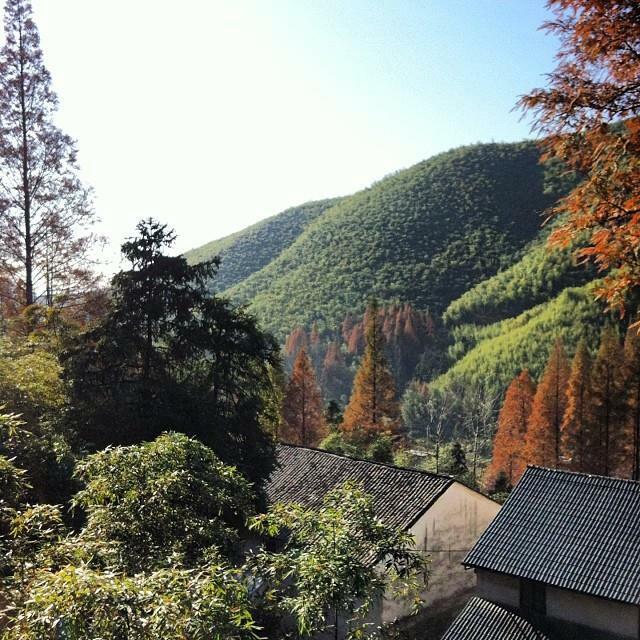 Once we emerged from the bamboo forest, we ended up in a valley. Pictured below, we passed some sort of a bamboo processing building. They appeared to be burning it. 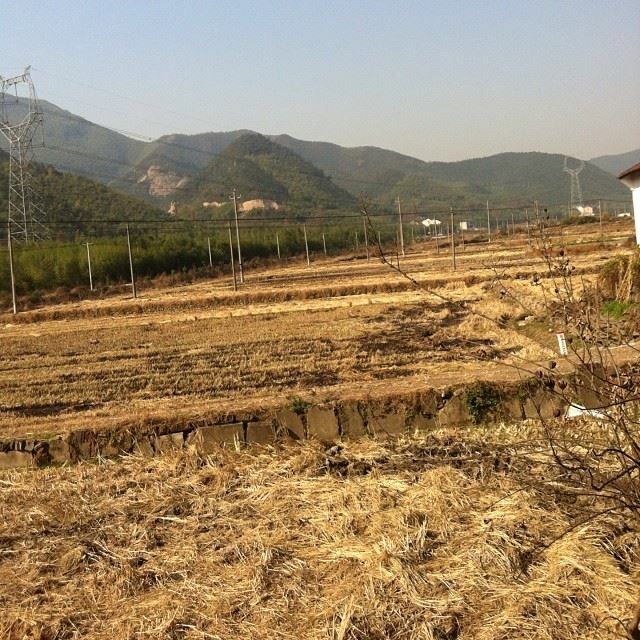 The picture below shows piles of bamboo chunks that almost look like they were cut with intent. I don’t know if they were or not. I thought about taking one but I became too afraid. Pictured above is a sign I found on the outskirts of a new town we discovered. 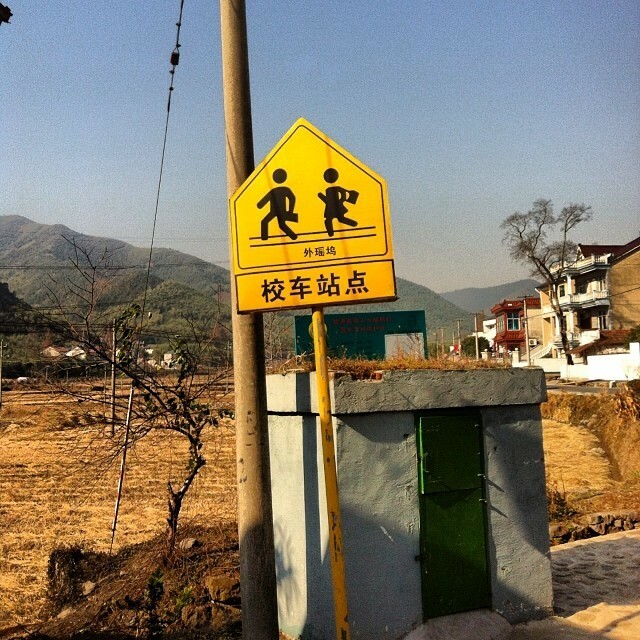 I am not sure what the sign is trying to make me aware of, but I think and hope it has something to do with school. We hiked out of the village and up another mountain road. Soon we saw the outskirts of the hidden lake. 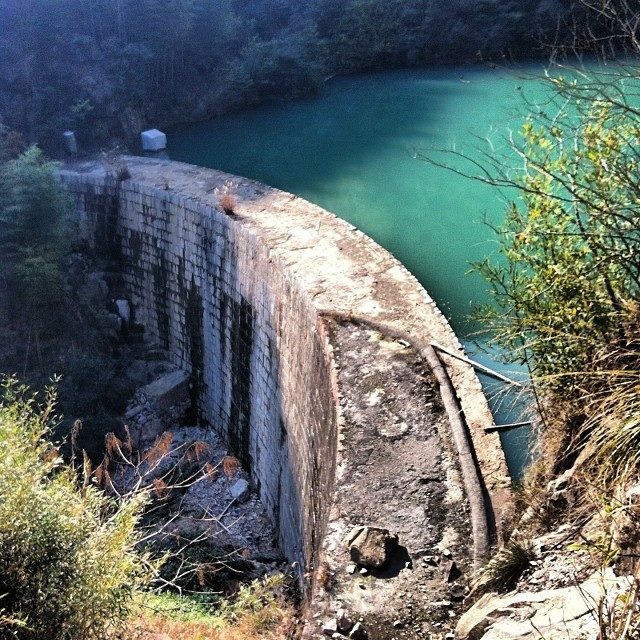 I have no information on how old the dam is, but it looks pretty old, doesn’t it? Pictured above is my friend and hiking buddy Matt and I presenting the land we have conquered. We eventually found out way to the lake, up close and personal. Pictured above, the dam is at the very far end of the picture. The lake was not very large. We went home the same way we came. 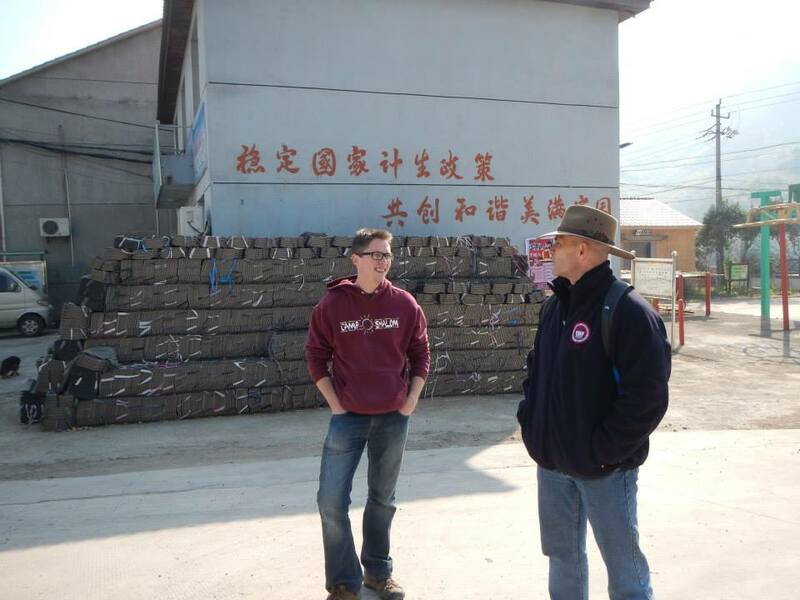 We did take a brief stop in the town nearest the lake to have a few philosophical discussions on the struggles and benefits of living abroad. Matt is well traveled, and very wise! 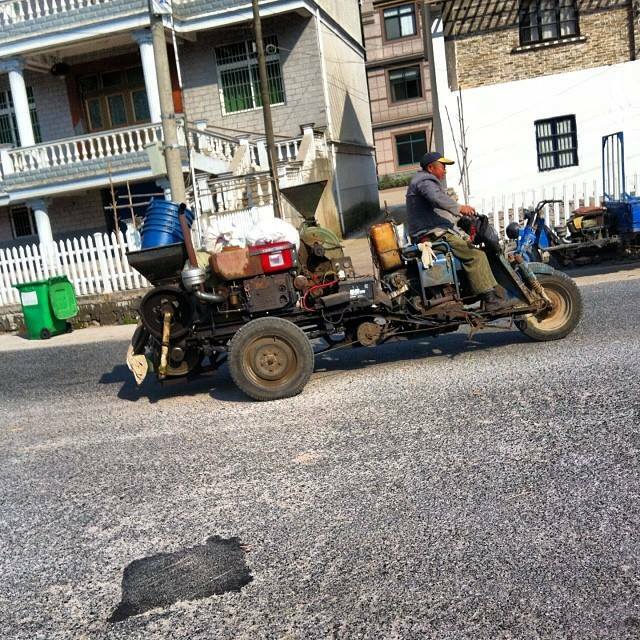 I also found what I can only describe as a super motorcycle. I don’t think you can buy this one in stores, folks. We came back late to Shanghai, and I went straight to bed. What a fantastic weekend. The only downside was that Angela was not there, but the silver lining is that I have a great excuse to go back. All for now. Nice pictures Jason!! I was admiring the bamboo. I have a plant that Stan had here when I moved in. I cannot get it to do anything except not die. About ready to pitch it but we will see. Take care Jason. Miss you and keeping you in my prayers. Wow that morning shot looks like it is from some fairy-tale type of place!! Please don’t tell me the cards against humanity game happened to be one you found at the hostel. I’m thinking you took Angela’s with you. Side note _hope you like your new suit!